PetSTEP Folding Pet Ramps were designed for the comfort of our furry friends and their handlers. 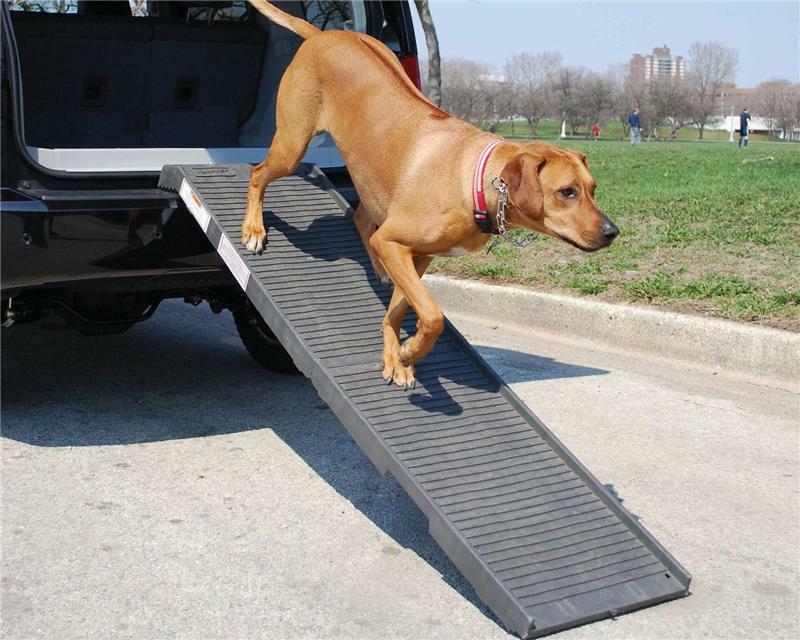 The PetSTEP and HalfSTEP were created with superior design and quality for those pet lovers who need a ramp for their higher vehicles, vans or stair replacement. The versitility of its unique design lends well to applications such as a table for field grooming, tailgating, picnicking and garden work with optional legs kit installed. PetSTEP if you’ve got an SUV or large expanse to bridge. It measures 5’10” (70 inches) unfolded, a manageable 35 inches folded. HalfSTEP is just that – half the size. Measuring 38 inches, and weighing in at 11.5 pounds, the HalfSTEP is perfect for a minivan, car, pickup, couch or bed. Turn your PetSTEP® into a Utility Table! Kit contains four aircraft aluminum legs and twelve fiddle screws for easy installation. Legs Kit vaults your PetSTEP® to a height of 28 inches when attached. Ideal for grooming, utility table, picnic table, potting table or any other use when a portable table is needed!